To download a pdf version of the full 2018 Zimbabwe country profile, click here. Zimbabwe’s inflation, pegged at 0.21 percent in March 2017 by the IMF, is now expected to be at 5 percent by the close of 2018. Inflation continues to be an issue since the adoption of the multi-currency economic regime in 2009 with the US dollar serving as the primary currency. As at 30 June 2018, the number of licensed banking institutions remain constant at 20 operating banking institutions including the central bank, thirteen commercial banks, one merchant bank, four building societies and one savings bank. Under the Reserve Banks financial inclusion drive there has been noteworthy movement with the registration of microfinance institutions from 168 in June 2016 to 187 in June 2018. The four functioning building societies, National Building Society (NBS), FBC Building Society, CABS, and ZB Building Society are the country’s major source of housing finance. Zimbabwe continues to witness an increase in access and affordability of housing finance, due torelaxation of the terms and requirements in some housing development projects. Although credit risk is taken into account by housing finance lenders, the interest rates for most borrowers remain unchanged, with 8-16 percent a year for regular borrowers, 6-10 percent a year for prime borrowers with low credit risk, and 10-18 percent a year for borrowers with high credit risk. Housing continues to take centre stage in Zimbabwe’s developmental discourse, however the lack of traction gained from consecutive proclamations and incongruent resource allocation casts into doubt the level of commitment of the national authorities to meeting housing challenges. It is estimated that Zimbabwe needs 20 years to clear the 1,3 million housing backlog. The new ZANU PF election manifesto, The People’s Manifesto, which will steer policy now the party has won the general elections, makes bold projections for housing delivery, promising 1.5 million new houses in the next five years (2018 to 2023). A strong institutional and regulatory framework shapes the housing sector in Zimbabwe. Much of the legislative and policy frameworks in Zimbabwe have remained unchanged. Some analysts observe that major challenges in the sector may stem from inadequate institutional capacity to support the effectiveness of these laws. The Zimbabwean economy, sometimes alluded to as a sleeping giant, has for the first time in a long time seen glimpses of that potential on various fronts, including international re-integration and re-admittance into international financing forums. A lot of interest has been generated since the government transition in November of 2017. Several international investors and investor groups have flown into the country, drawn by the administration’s efforts to attain legitimacy as a safe investment haven. Policy still remains a contentious subject as not many changes, although touted, have been effected yet. Following a military-backed but generally bloodless intervention in November 2017, Robert Mugabe’s presidency came to an abrupt end and precipitated a transition that catapulted the recently sacked Vice President Emmerson Mnangagwa to the Presidency. The international community watched closely as the events unfolded, confirming the importance of the end of 93-year-old Mugabe’s rule. Zimbabwe had firmly established itself as a pariah state following the withdrawal from the Commonwealth and coupled with the various economic and targeted sanctions that were imposed on the landlocked country. The adverse economic effects of the 18-year long isolation were evidenced by the large population of the Zimbabwe diaspora. 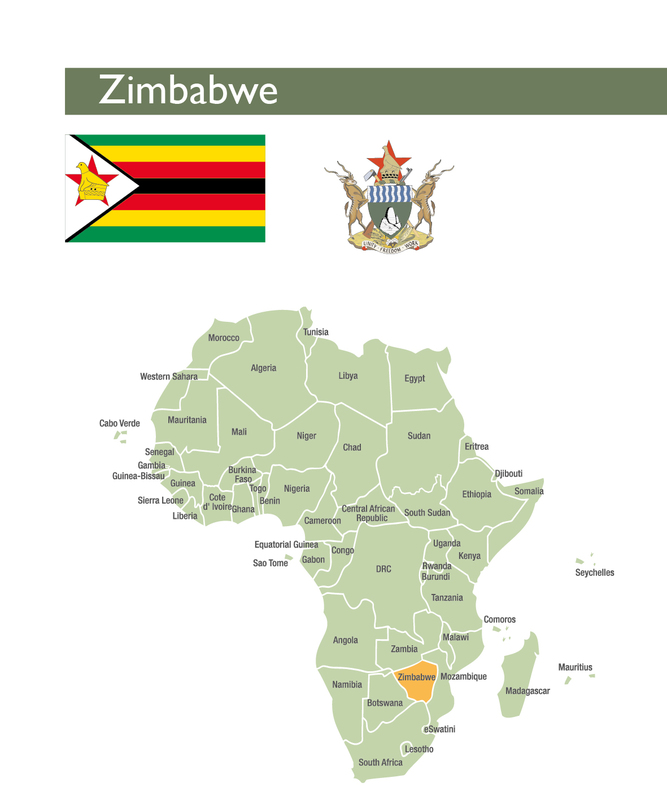 South Africa alone is estimated to be home to over 5 million legal and illegal Zimbabweans living in the country. On 26 August 2018, Mnangagwa became the duly elected president of Zimbabwe after a heavily contested election in which the main opposition party, the MDC Alliance, alleged collusion between the ruling ZANU PF and the Zimbabwe Electoral Commission. The election result dispute degenerated into protests and six people were confirmed dead during the violent clashes. Mnangagwa’s victory was upheld by a constitutional court ruling following a challenge by the opposition. The United States of America (USA) noted that significant improvements in basic human rights still needed to be implemented. In August 2018, providing a clear sign that the international community is not convinced by the reformist rhetoric of the President,US President Trump signed an amendment into law of the sanctions first instituted against Zimbabwe in 2001, for a further 5 years.In a more positive development, the United Kingdom, pledged its support to the Zimbabwean government,and reaffirmed an earlier pledge to support Zimbabwe’s bid to rejoin the Commonwealth. Zimbabwe successfully cleared its arrears to the IMF in October 2016. In January 2018, Mnangagwa continued to augment efforts to reintegrate Zimbabwe into the global economic space, most notably by attending the World Economic Forum in Davos, Switzerland. Mnangagwa highlighted his intent to institute wide ranging measures to the ease of doing business in Zimbabwe, and to bolster investor confidence by tackling corruption.Mnangagwa also met with the International Monetary Fund (IMF) Managing Director where she indicated that the relationship between Zimbabwe and the IMF was turning into a positive one but she highlighted the significant debt exposure as a huge challenge.In the 2018 budget, the Minister of Finance, Mr Patrick Chinamasa stated that Zimbabwe will revise the stagnated 2015 Lima Plan, a debt clearance programme between Zimbabwe and international finance institutions . Persistent liquidity challenges and the introduction of the bond note, a surrogate currency that is touted through official government communication as trading at par with the US dollar, have created a pricing distortion in the economy. In an interview with GAP Solutions (a pan-African consulting firm) on May 17 2018 , Justin Machibaya, the Group Managing Director of Homelux Real Estate said that the housing finance sector has been greatly affected by the prevailing tiered price model. Homeowners value their properties in US dollars, because of the discrepancy between the US dollar and the other methods of payment. Bond notes, Real Time Gross Settlement (RTGS)and mobile money transfers all attract different premiums based on the prevailing exchange rates to the US dollar.This confuses property value and financing. A significant number of Zimbabweans remain either unemployed or on reduced salaries, reducing the number of qualifying loans. Although mortgage loan repayments are marginally lower than rental of a similar property, the application guidelines preclude the majority of Zimbabweans by conditions such as 12 months’ continuous employment as well as guarantees from employers that salaries be paid through the financier and on time. In Zimbabwe’s precarious economic environment not many employers have the confidence to make such commitments. Government has not made any substantive statements addressing the cash shortages or the price distortions, which effectively implies that there is no clear strategy on how to curtail the concomitant economic effects. Newly appointed Vice President and former Army General, Constantino Chiwenga was cornered into addressing this issue at a political rally in Hopley, a constituency near Harare.The residents demanded to know what steps the government was taking to address the premiums imposed on “Ecocash” , the most prominent mobile money platform, by their agents, as well as their stance on “land barons” (illegal land holders, often connected to the political elite, take advantage of home seekers, by “selling” land illegally acquired). Chiwenga acknowledged that the distortions were indeed a reality and promised to legislate stiff penalties for cash dealers and land barons. Double-digit lending rates continue to constrain economic recovery. Zimbabwe still experiences structural regression, with acceleration of de-industrialisation and economic informalisation. These challenges are caused by difficult economic problems, including infrastructure and regulatory deficiencies, policy uncertainty and insufficient formal employment. Reuters (2018). “IMF’s Lagarde welcomes Mnangagwa’s promise to revive Zimbabwe economy”, 25 January 2018. https://www.reuters.com/article/us-imf-zimbabwe/imfs-lagarde-welcomes-mnangagwas-promise-to-revive-zimbabwe-economy-idUSKBN1FE2M6(Accessed 14 September 2018). Real Time Gross Settlements (RTGS) is an interbank settlement mechanism developed to enable real-time transactions between commercial banks. It was implemented in Zimbabwe in November 2002. For a description of the system and its issues, see Ngwira, D. (2017) RTGS backlogs should be explained. Zimbabwe Independent. 30 June 2017. https://www.theindependent.co.zw/2017/06/30/rtgs-backlogs-explained/(Accessed on 16 September 2018). As at 30 June 2018, the number of licensed banking institutions remain constant at 20 operating banking institutions including the central bank, thirteen commercial banks, one merchant bank, four building societies and one savings bank. Two significant developments within the commercial banking sector were the rebranding of MBCA Bank to Nedbank, the parent company, and the sale of Barclays stake in Zimbabwe to a Malawian Bank. Under the Reserve Banks financial inclusion drive there has been noteworthy movement with the registration of microfinance institutions from 168 in June 2016 to 187 in June 2018. The four functioning building societies, National Building Society (NBS), FBC Building Society, CABS, and ZB Building Society are the country’s major source of housing finance. In March 0f 2018, Steward Bank announced that the bank was now offering loans to Zimbabweans living and working in the diaspora to either build or buy a home in Zimbabwe with financing from US$10 000 up to US$200 000. The applicant must have a work permit, residence permit or visa in the country he or she is a resident of, and should have either a valid Zimbabwean passport or Zimbabwean ID to be considered. Despite the reforms adopted by the new president on doing business as well as tackling corruption, the World Bank, Ease of Doing Business report does not yet echo these sentiments. Zimbabwe only progressed by one spot to 159 from the previous year’s 160. The Banking Amendment Act2015,introducing the Credit Reference Registry, a database of credit information of individuals and companies and housed at the Reserve Bank of Zimbabwe (RBZ), was implemented in January 2017. The Act mandated all financial institutions offering credit facilities, including banks, micro-finance institutions, utility bodies, retailers, and mobile network operators to supply credit information to the Registry. As of June 2017, The Office of the President and Cabinet stated that data relating to nearly 85 percent of all loans was uploaded onto the platform. Mortgage lending remains largely undertaken by the Building Societies. Steward Bank recently carved out what promises to be a high-value niche in the mortgage lending sector by providing mortgage loans to Zimbabweans living and working in the diaspora. Unlike residents, Zimbabweans working abroad typically have consistent and higher income, making them an attractive segment. Mortgage lending rates retained their range of 15-20 percent. As the traditional leader, CABS continues to require 10 percent of the property value as deposit, in addition to 10 percent of the value paid towards property transfer fees. Stanbic Bank continues its requirement of exclusive banking for a minimum of 12 months, five percent of the property value and five percent for property transfer fees. The government continues to waiver stamp duty on cession of mortgage bonds in order to incentivise provision for additional mortgages, a waiver introduced in January 2015. Lending in the Banking sector remains short term: notwithstanding the introduction of bond rates, the rate of demand deposits continues to rise. The public’s fear that the introduction of bond notes will bring back inflation have been substantiated. The liquidity crunch meant to be halted by bond notes has persisted and worsened: US dollars in hard currency attract a premium, further driving demand for the currency and leading to more shortages. Bank withdrawal limits have been reduced and withdrawals happen as and when the currency is available and is paid out in coins of denominations of 5 cents, 10 cents, 25 cents, 50 cents and 1 dollar, as the notes are also in short supply. Limited availability of affordable long-term finance impacts negatively on the ability of mortgage lenders to provide affordable mortgages; as such, lenders pass high borrowing cost to customers. A pricing distortion of goods and commodities in Zimbabwe exists due to the premium attached to other methods of payments intended to match the exchange rate of these payment channels to the US dollar. Banks make payments on mortgage loans through the RTGS system, and this amount is everywhere accepted to have a lower value than hard currency in US dollars. The distortion is sometimes evident in multi-tiered pricing effected by home sellers where different prices are listed for a property depending on the method of payment. The drive to make the economy cashless has not been welcomed as widely as anticipated and has instead driven price hikes and cost distortions especially since Zimbabwe remains a gross importer. While the volumes and values of transactions made via electronic payments continue to increase significantly, these statistics are driven only by a lack of alternative which many retailers and businesses have taken advantage of by charging up to 30% extra for any transaction not paid for in cash. 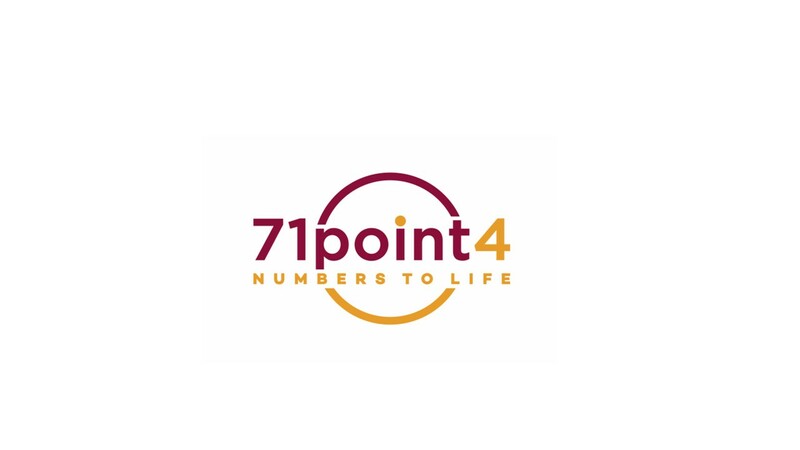 The RBZ reported in May that the number of Point of Sale machines throughout the country had reached 70 000, while electronic payments were stated to now constitute 95% of all transactions in retail outlets. Echoing the sentiments made by the then Vice President, Emmerson Mnangagwa last year, the RBZ chief reiterated that efforts were still being made to reduce the cost to customer of electronic payments, which the regulator concedes are still too high. 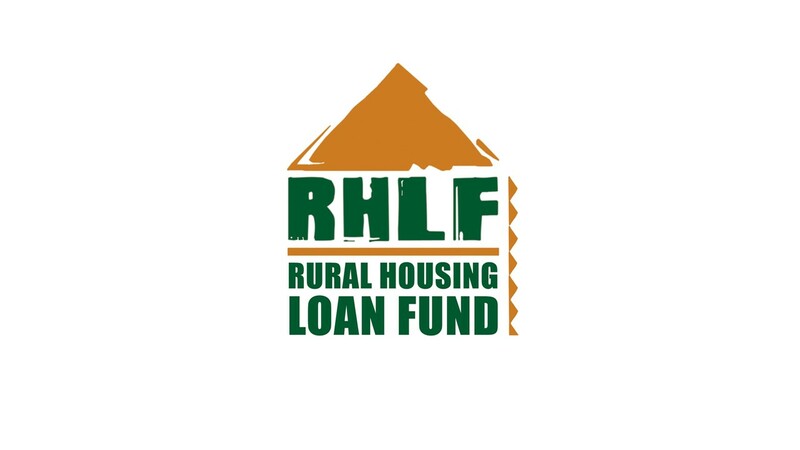 To enable low income earners to access housing finance, building societies collaborate with employers for loans at subsidised rates. Partnerships exist between the banks and local councils, wherein the bank acts as a developer and the council provides the land at a cheaper cost or contributes to the housing project. Microfinance loans run over a shorter term compared to loans from banks and usually have higher interest rates, though they offer quicker turnaround times for application processing and approval, making them more attractive to those that qualify for their loans. Tech Zim Media (2018). “Zimbabweans In the Diaspora Can Now Access Steward Bank Mortgages (Loans) To Buy Or Build Houses In Zimbabwe.” 1 March 1 2018. https://www.techzim.co.zw/2018/03/hey-zimbo-diaspora-want-build-buy-finish-house-back-home-steward-bank-mortgage/ (Accessed 20 June 2018). The Budiriro CABS project, which began in 2012, was hampered by low uptake, with various stakeholders citing the high cost as one of the reasons the units remained unattractive. Confidence in the project also suffered greatly after reports about the poor construction workmanship started surfacing Various initiatives were taken to try to hasten uptake, with little success until 2018. Approximately 2 000 units have now been sold, up from a meager 800 units in June of the previous year. Further relaxation of the terms and requirements have encouraged the interest in the Budiriro Units. 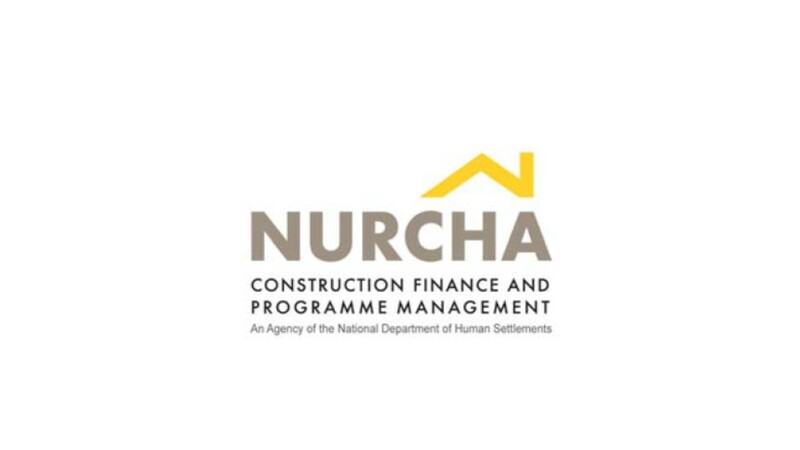 One of the changes includes scrapping the deposit requirement altogether, permitting customers with a proven track record of consistent income to let the houses for a year and allowing the payments to go towards deposit.Zimbabweans in the diaspora as well as corporates are also eligible to purchase the housing units upon meeting the mortgage criteria. The National Social Security Authority (NSSA), through its bank the NBS, recently launched an ambitious project in the Dzivarasekwa high density suburb to deliver low cost housing. 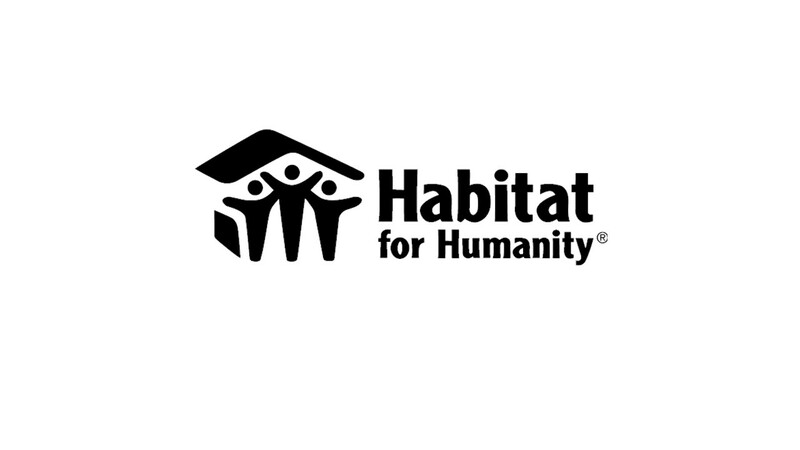 The authority injected US$17 million to deliver 600 houses towards the project. NBS is reported to have built approximately 3 000 houses since its inception and reportedly planned to build 10 000 more housing units in 2018. Old Mutual have a project in Bulawayo’s Pumula high Density Suburb. The Pumula (Phase 1) housing project has managed to sell 386 housing stands translating to 96 percent uptake. Stands ranging between 200m2and 400m2were valued at US$30 per square meter, while those measuring between 401m2and 800m2at US$25 per square meter. Most banks are still lending to qualified low income earners (earning US$750 a month) for mortgages between US$15 000 and US$20 000. While it is laudable, the threshold for qualification is significantly above earnings of most industry and commerce workers, and those in government service, especially when considering that the cheapest newly built house costs a minimum of US$18 000.The reality on the ground remains that even those in formal employment for a decade or more can no longer afford basic houses, partly due to savings depletion after successive currency regimes that led to the dollarisation in 2009. Housing continues to take centre stage in Zimbabwe’s developmental discourse, however the lack of traction gained from consecutive proclamations and incongruent resource allocation casts into doubt the level of commitment of the national authorities to meeting housing challenges. It is estimated that Zimbabwe needs 20 years to clear the 1,3 million housing backlog. The new ZANU PF election manifesto, The People’s Manifesto, which will steer policy now the party has won the general elections,makes bold projections for housing delivery, promising 1.5 million new houses in the next five years (2018 to 2023). This claim has been challenged by many critics who say that it demonstrates that the government lacks genuine resolve or understanding to tackle the housing crisis. A prominent property lawyer and aspiring legislator, Fadzayi Mahere, is quoted in an online publication asking how the government intends to fund this ambitious project, pointing out that this figure means 822 houses will have to be constructed every day for the next five years in order to meet this target. The document also details plans to address irregular land allocation as well as working with land developers to put back proceeds towards infrastructure development. It also talks about two welcome developments on issues that have affected many home seekers: regularisation of land allocation and issuing of title deeds to beneficiaries, and putting an end to demolitions of property where regularisation is still requested (this applies except when land designated for schools, clinics and roads). According to the Zimbabwe National Association of Housing Cooperatives, an apex body representing housing co-operatives, its membership has serviced more than 20 000 stands and built more than 10 o00 houses since 2000. 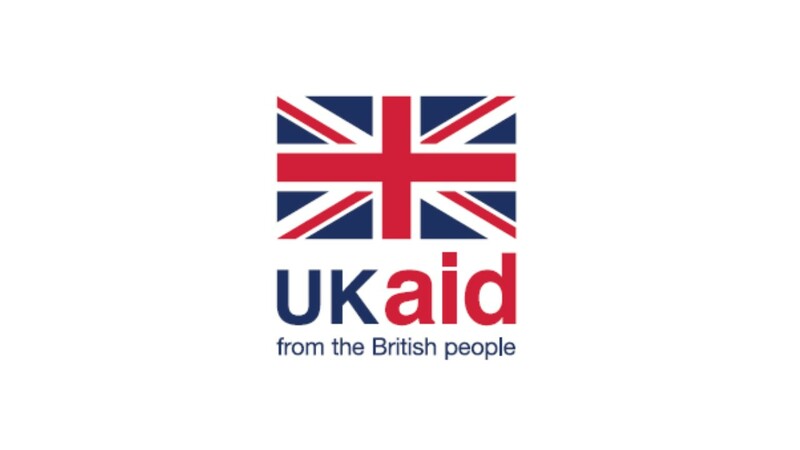 UK-based Reall, a global network of housing development enterprises, approved four projects during 2017/18, providing 420 units across Harare, Masvingo and Bulawayo, along with improved sanitation for an additional 850 houses in Harare. These projects have involved leveraging considerable land resources (11.67ha) from cooperative groups, significantly lowering the cost of affordable housing provision. ShelterSol, a local housing enterprise, is planning to develop 730 units on their Lower Rangemore site in Bulawayo. The land surrounding the site is also all due to be developed soon and the whole area is important within the city authority’s masterplan. ShelterSol and Reall are working on the most appropriate model for sustainable project delivery. In April 2016, following a review of its housing policy, the Harare City Council banned housing cooperatives from occupying any new state land, to streamline housing development and better manage waiting lists and backlogs. As of May 2018, many housing cooperatives are still selling land, a clear sign that they had acquired vast tracts of land before the ban was put in place, giving the ban little or no effect in the short term. Courts are still inundated with land disputes between home seekers and cooperatives. Tanyana (2018) Zanu-PF 2018 Election Manifesto Summary PDF Download. Thttps://news.pindula.co.zw/2018/05/05/zanu-pf-2018-election-manifesto-summary-pdf-download/ 5 May 2018. Pindula News. (Accessed 16 Sept 2018). The slow positive economic progress was expected to result in a positive turn in the property markets. A regional comparison indicated that Zimbabwe might continue to have comparatively high financing costs due to high costs of building materials. Developments of informal settlements like Caledonia, Hopley, and Southlea remain popular residential options compared to rentals, where landlords are not willing to revise rentals downwards, causing building to become unused over time. A migration trend has also been noted, where businesses now shun central business locations in favour of light industrial areas where land and rents are cheaper. In spite of all these broader economic factors, property prices continue to surge because of the speculative demand for US dollars as a hedge against the volatile bond note that has continued to lose its value against the greenback over the past seven months. Knight Frank Zimbabwe (KFZ) Annual Property report indicated that demand for residential properties to purchase exceeded supply in the last quarter of 2017.Some have, however, expressed reservations about taking this to be representative of a broader market outlook as opposed to being speculative hoarding by a small part of the population. A strong institutional and regulatory framework shapes the housing sector in Zimbabwe. Much of the legislative and policy frameworks in Zimbabwe have remained unchanged. They are mostly progressive and include the Regional, Town and Country Planning Act [Chapter 29:12]; Urban Councils Act [Chapter 29:15]; Land Survey Act [Chapter 27:06]; Deeds Registry Act [Chapter 20:05]; Consolidated Land Acquisition Act [Chapter 20:10]; Rural Land Occupiers Act of 2002; the National Housing Policy of 2012; and Model Building By-laws. Some analysts observe that major challenges in the sector may stem from inadequate institutional capacity to support the effectiveness of these laws. For instance, the 1.5 million housing waiting list is cited as inaccurate as it does not accurately capture the deficit. Officials also cite this waiting list as susceptible to duplication as well as manipulation. Several laws also suffer from not being retrospective in application. The government appreciated the importance of decongesting the urban areas and meeting demand for housing in those areas, through Acts aligned with the Peri-Urban Settlement policy (GoZ 1998). This was aimed at augmenting residential and industrial infrastructure in zones called growth points. However, development at growth points has stagnated due to economic regression. There has been a lack of policy responses to the failed attempts at targeting growth in peri-urban centres such as Mungate and Chiroodza in Domboshava. Further, long-term funding to address infrastructure bottlenecks is needed for effective housing delivery, including additional capacity to avail loans for both land and housing development. The Deed Registries Act [Chapter 20: 05] targets the issue of loan security and provides for the registration of mortgage bonds and notarial bonds. This provides security in the housing finance sector. As of June 2016, the deeds registry was given the nod to digitize operations in the Deeds Registries Amendment Act, 2016. There were no stipulated timeframes provided for the process and the progress in digitization is yet to be made public. In July 2017, the mayor of Harare, Dr. Bernard Manyenyeni ,said that the city had advanced plans to raise a US$100 million bond towards housing construction. This is yet to be realised. The excitement around the potential investment by Africa’s richest man, Aliko Dangote, that had died down after many months of silence and speculation has been rekindled.In his 2015 visit, the prospects were to invest in coal mining, cement manufacturing and power generation. It was reported that plans were now afoot to resuscitate the ailing deals under the new administration, with no clear indication, however, whether cement manufacturing would still form part of these opportunities. Ncube, X (2018) Dangote team back in Zim. Newsday. 10 April 2018. https://www.newsday.co.zw/2018/04/dangote-team-back-in-zim/(Accessed on 16 September 2018). Peralta, E (2017) “Robert Mugabe: A legacy of tyrannical rule, economic ruin and international isolation.” National Public Radio (NPR). 15 November 2017. https://www.npr.org/sections/parallels/2017/11/15/564313423/robert-mugabe-a-legacy-of-tyrannical-rule-economic-ruin-and-international-isolat (Accessed 18 June 2018). ZWINOIRA, T (2018). “Zim Inflation to quicken-IMF.” 31 October 2017. Newsday. https://www.newsday.co.zw/2017/10/zim-inflation-quicken-imf/ (Accessed 28 June 2018). The World Bank Doing Business (2018). http://www.doingbusiness.org/data/exploreeconomies/zimbabwe, (Accessed 3 July 2018). An updated overview of Zimbabwe’s housing finance market. Click the image, or click ‘download attached document’, to download the newsletter.